Booking Photo. 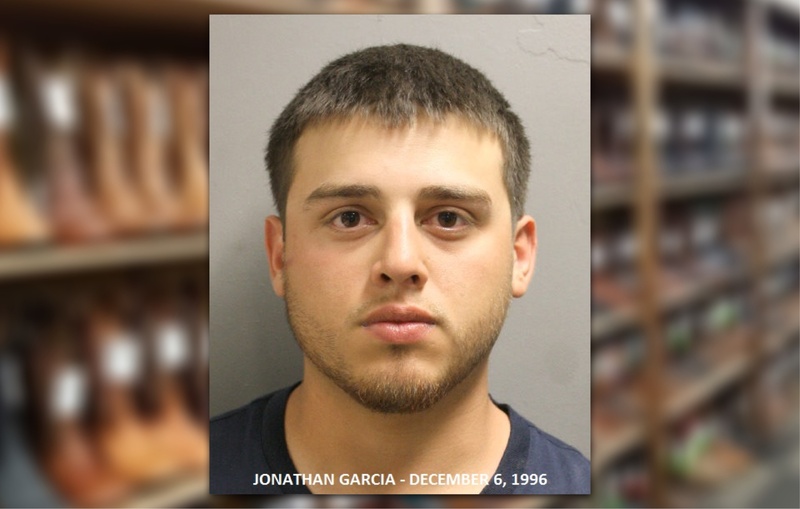 Jonathan Garcia was arrested and booked into the Harris County Jail, charged with Robbery. His bond was set at $20,000.00 out of the 182nd District Court. Harris County, Texas – May 15th, 2018: On May 12, 2018, deputies with Constable Mark Herman’s Office responded to the 9200 block of FM 1960 in reference to an in-progress theft at Cavender’s Boot City. Upon deputies’ arriving, they quickly located and identified the suspect as Jonathan Garcia who had been detained by citizens. Further investigation revealed that Garcia concealed merchandise and attempted to walk out of Cavender’s without paying. When an employee confronted him, Garcia struck the employee in the face with a closed fist and exited the store with the merchandise.